Tui Na is an ancient form of bodywork that is based on the principles of Traditional Chinese Medicine. A variety of pressures and strokes along the meridians (energy pathways) of the body can stimulate the flow of energy throughout your body. This can be relaxing or an invigorating effect, depending on the manipulation. People may see this as a form of massage therapy session but it is much more complex than the techniques of massage. Many of the chiropractic adjustments are Tuina manipulations that was adopted by the founder of Chiropractic who went to China before creating his own theory. Acupressure is the simplest form of Tuina. By stimulating acupoints with the fingers instead of needles, the stimulation of qi can be achieved. Acupressure is based on one the most ancient principles of healing — that simply touching a specific point on the body will move qi and improve health in the body that can also relieve tension and stress. 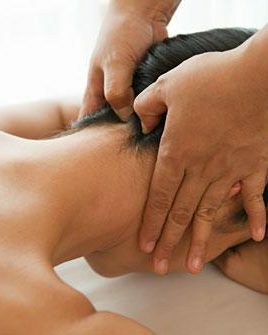 Acupressure can relieve muscle tension by unblocking qi to improve blood circulation. This simple and powerful technique has been shown to BE very effective in treating neuromuscular pain, headaches, backaches, and even insomnia. Tuina is a unique field itself and special training is required. I am skilled in this area and took special and extended courses in this healing art.